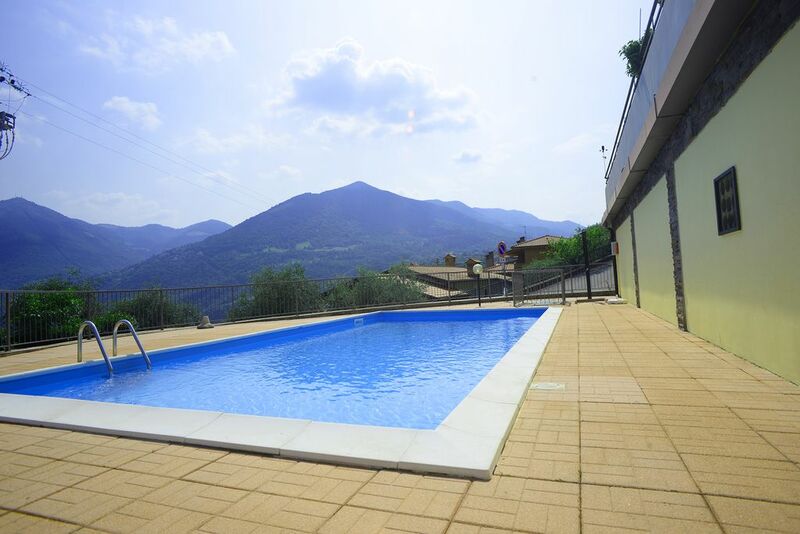 The Lavanda Apartment is located in a quiet and panoramic position in Riva di Solto, a beautiful village on the western shore of Lake Iseo, in a delightful residence with swimming pool. The property, recently renovated, is characterized by a spacious and bright living area with access to the garden and stunning views of Lake Iseo. The kitchen is equipped with a fridge, freezer, dishwasher and a microwave. The living area is equipped with a wooden table with six seats, a double sofa bed and a television. The Lavanda apartment is also equipped with two bedrooms, one double and one twin with two single beds, as well as a bathroom with shower and washing machine. The Lavanda apartment is completed by a beautiful lake view garden, where you can sunbathe and relax, equipped with deck chairs and a barbecue. If the apartment is left very dirty and extra cleaning is required or if the garbage collection is not properly done, a supplement may be requested. The check out is from 8:00 to 10:00 and is defined according to our organizational needs. Check-in is from 15 to 18.00. If the guest warns before 18:00 that he will arrive late the keys will be left in a code safe.